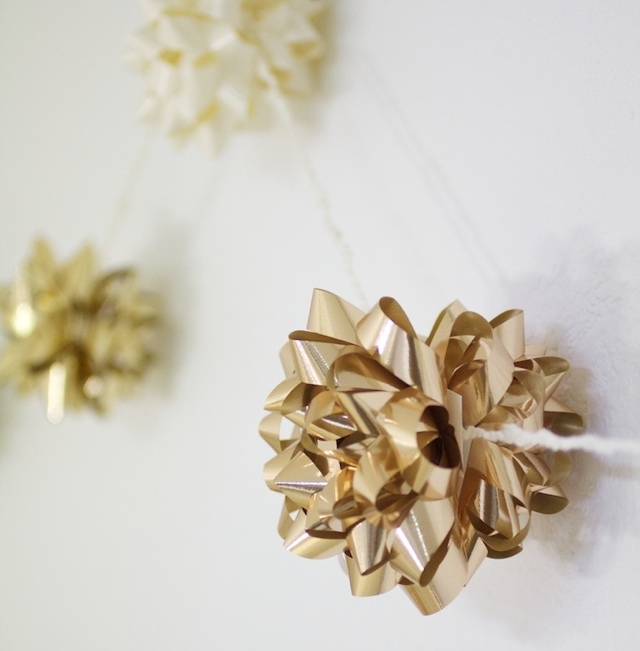 Simple Christmas Decor: DIY Gift Bow Garland! Last year after Christmas I found bags of gift bows on clearance for $.50. Yay! 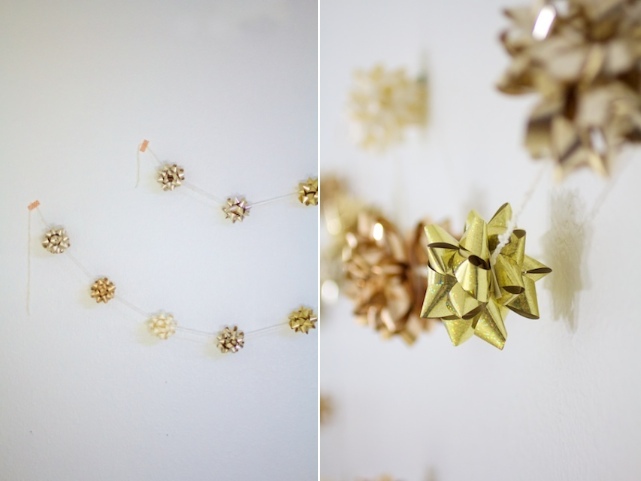 I bought two bags of the gold because I knew that there was a project in there somewhere and last night Paige and I put them to use and made some little Christmas garlands! 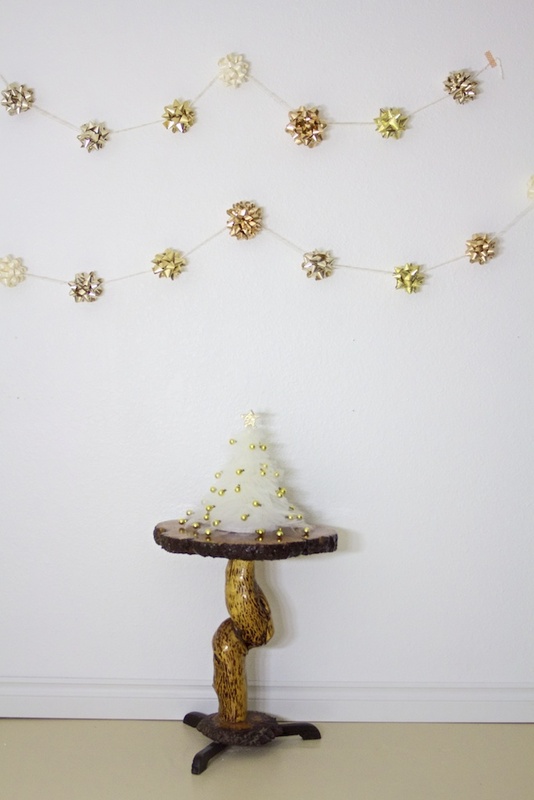 I think when it comes to Christmas decor, the simpler and easier the better. That way we can focus on the more important things. Like cookies. 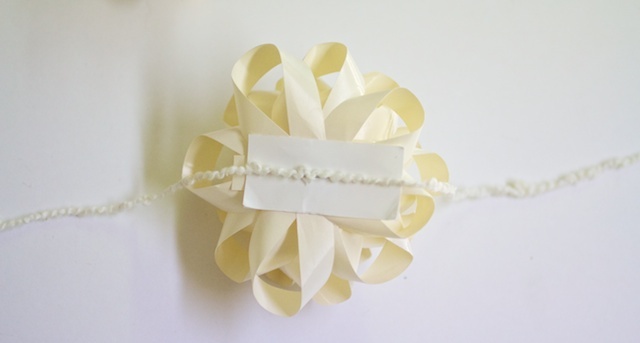 Then peel the back off a matching bow and press firmly to the first bow. Repeat every 6'' or so with as many bows as you'd like! 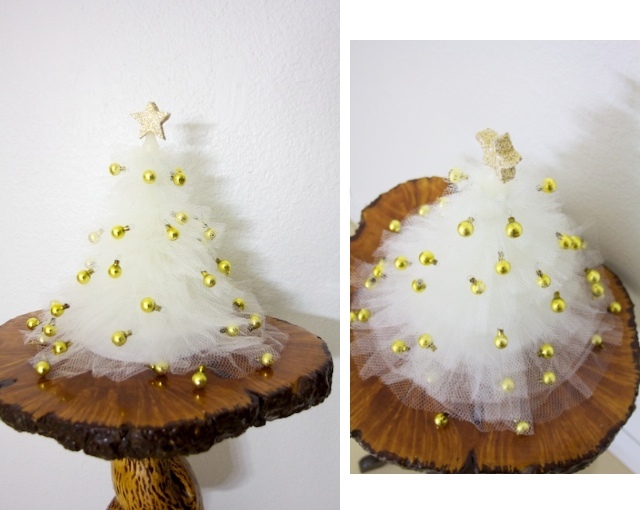 Btw, I have to tell you about this little tulle tree. My dad and his sister made it when they were young. 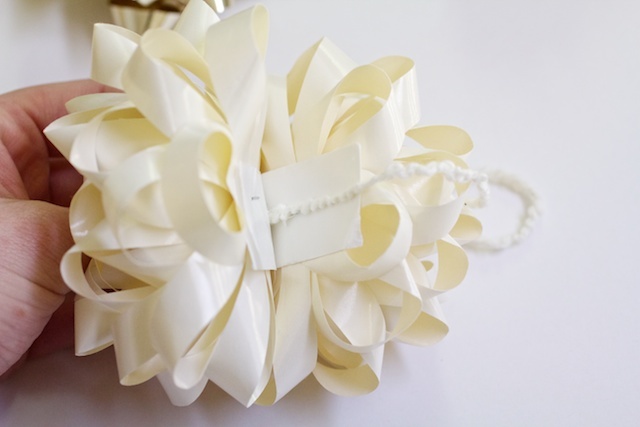 It's a styrofoam circle with a candle stuck in the middle, covered in gathered tulle with mini bell ornaments sewn on. I just love it. It's cute and quirky and I love that it's a piece of my family's history. My dad gave me the pieces in a box over the summer and I loved putting it together with Paige. PS! Also. 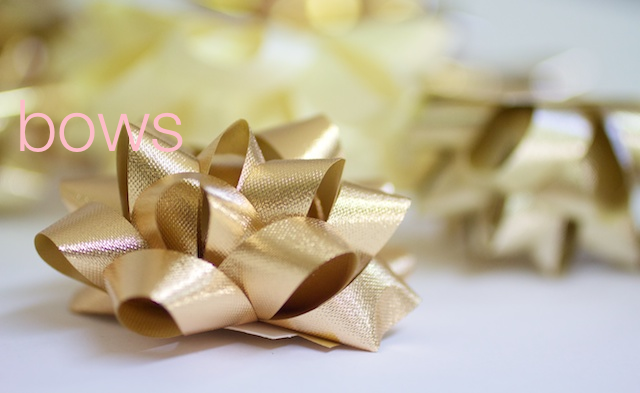 If you can't find bows in the right colors, did you know you can make your own? 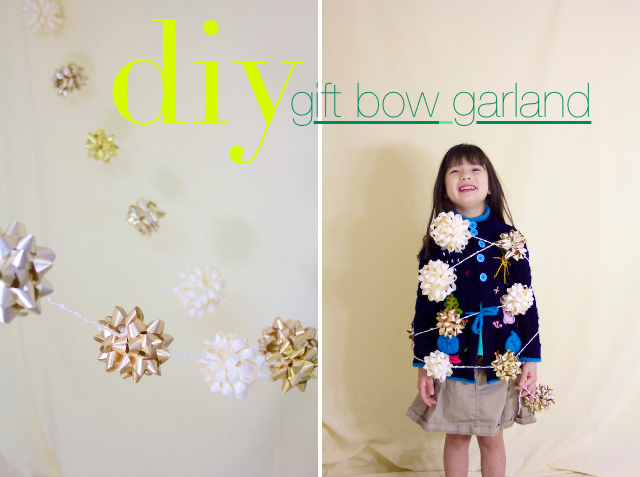 Here's an easy gift bow DIY at October Afternoon that looks really fun. 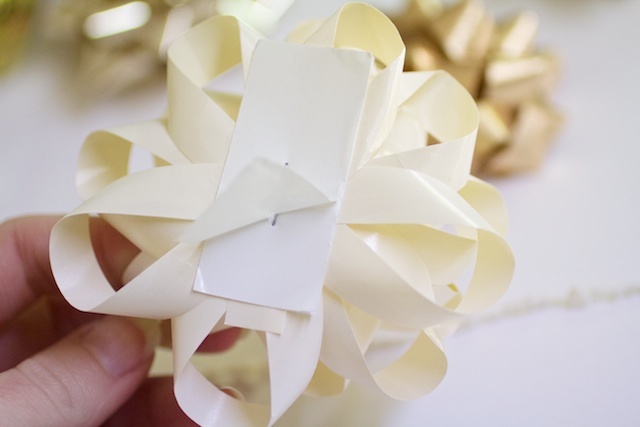 Just use a glue stick to attach some card stock squares to the back. 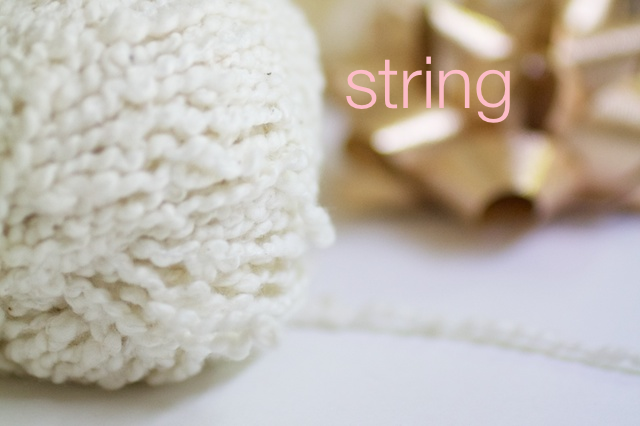 I wanted to try that for this tutorial, but sadly, I couldn't find the time. I'd love to make a cute mint and pink version or something. Not that it would match any room in my house...but it would make me happy! 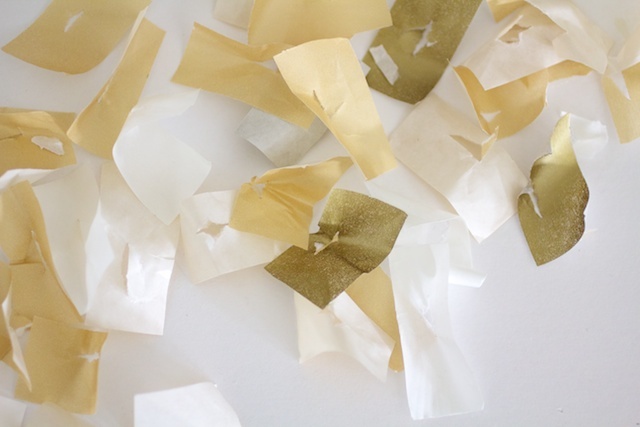 :o) Can you imagine it with cute scrap booking paper? 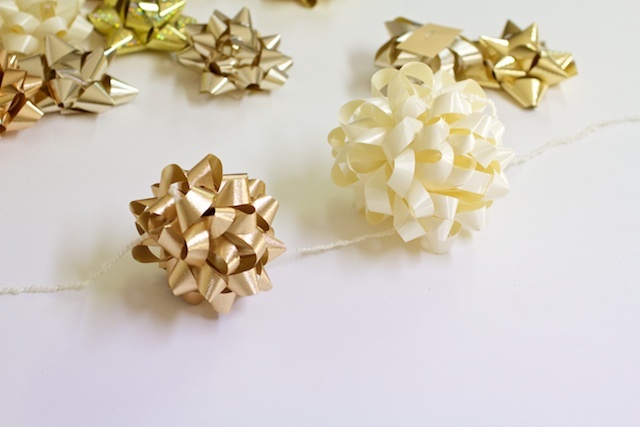 Gift wrap? Recycled vintage book pages? Even newspaper would be cute. So fun. Happy beginning of December!! So far this has been the best Christmas season for me in years. ("So far", I know, we're barely past Thanksgiving.) This is my absolute favorite time of year!! Hi Disney..i will never go past a cheap bag of gift bows again! Poor Paige..we never intend breaking our kids hearts do we..but it happens. 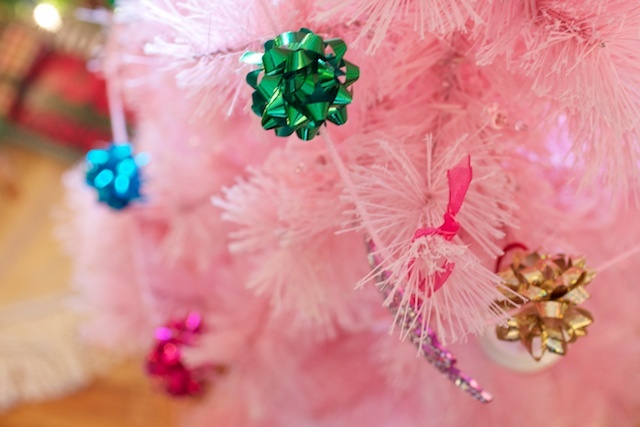 Her garland is stunning too...as is your heirloom Christmas tree ornament. Oh sweet Paige! 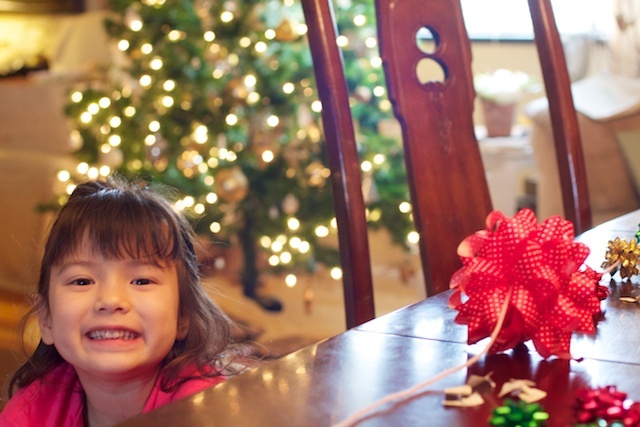 You totally redeemed yourself, and her garland is adorable. I'm definitely going to do this with my kids! 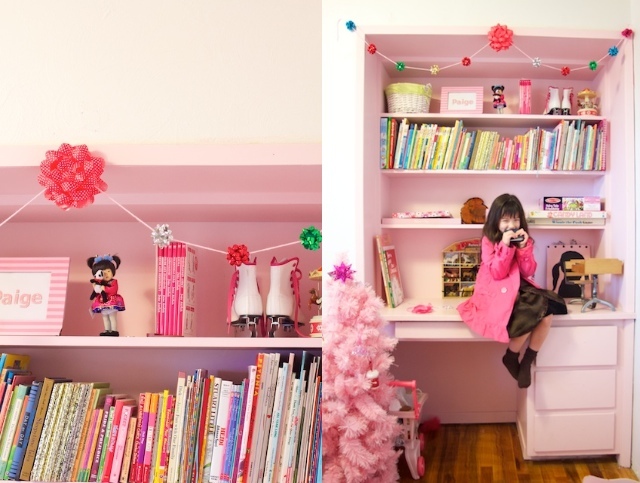 Maybe they can pick out their own colors and make the garland for their own room. I think they will love it! I agree! It's only December 4, but this is the best Christmas season I've had in a while. I remember always being so excited for Christmas when I was younger and then in recent years it's been much more go-with-the-flow/going-through-the-motions kind of thing, but this year I was ready after Halloween for Christmas to get here! 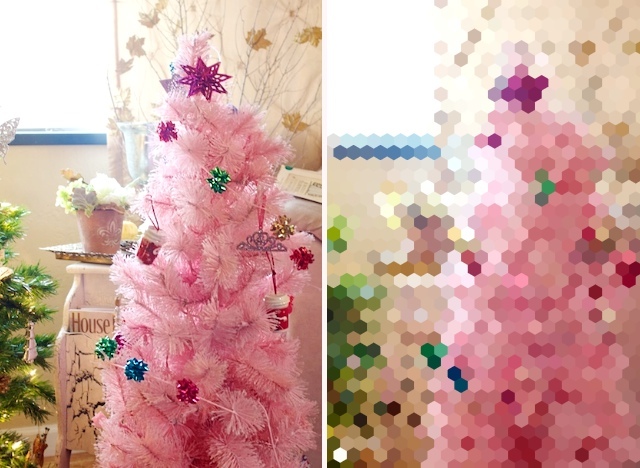 I love the hexagon pixel photo! Did you use an app for that? I used Pixelmator, which is a Mac app. A super cheap and simplistic version of Photoshop. It's not bad for $15! 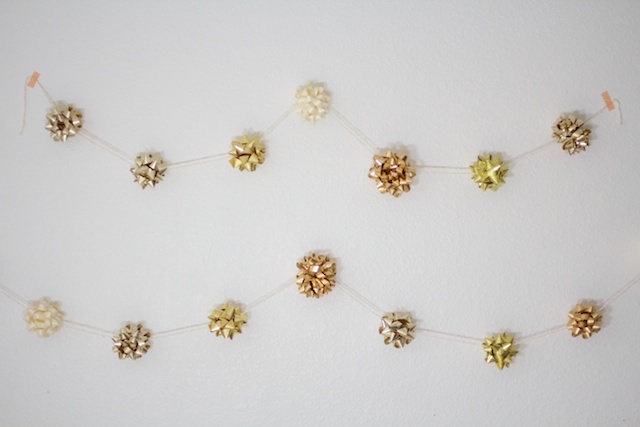 Love your DIY garlands. How clever. And tell Paige I love her colorful ones. Good job. You make beautiful things and your love of life really shows in your creation. I am a new follower to your blog.